House Majority Leader Kevin McCarthy plans to introduce a bill this week that will fully fund President Trump's much-promised border wall, according to an exclusive report by Breitbart. On Monday, outgoing House Speaker Paul Ryan hinted that there would be a post-midterms border wall funding fight, saying: "We intend on having a full-fledged discussion on how to complete our mission to secure the border, and yes, we will have a fight about this." "Given that this new bill comes from the Majority Leader, McCarthy, and this bill contains several other measures already passed by the House with high margins of success, its prospects for passage are promising," writes Breitbart's Matt Boyle. The forthcoming bill will not address Deferred Action for Childhood Arrivals (DACA) cases - which will give Democrats significantly less ammunition to derail the effort. McCarthy will travel on Wednesday to the US border with Mexico to meet with Border Patrol agents, where he will also receive a briefing from Border Patrol officials on operations and threat assessments. While the bill will probably pass through the House with little trouble, the Senate should prove to be a bit more daunting - as Republicans only have a 51-49 majority, and would need 60 votes to clear a filibuster hurdle on a cloture vote - unless Senate Majority Leader Mitch McConnell changed the Senate rules - which he has been thus far hesitant to do amid enormous pressure. That said, Republicans wouldn't have those key votes until January, 2019 - and that's assuming the Democrats' "blue wave" crashes on the rocks. "that means whatever the House passes in late 2018 for it to become law unless the Senate goes for it this year would need to be passed again in early 2019," writes Boyle. With a variety of post-midterm threats levied by Democrats - including launching investigations and impeachment proceedings against both President Trump and Justice Brett Kavanaugh, Republicans who want to see the wall go up will have an additional incentive to head to the polls. 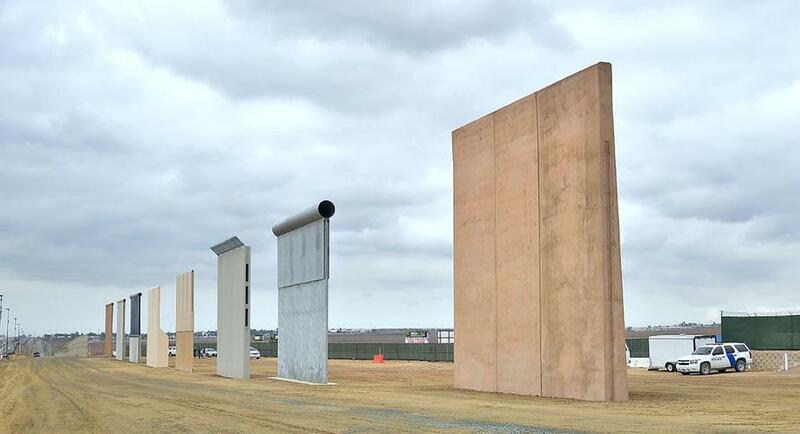 In short - if you want the wall, go out and vote on November 6.